British Airways has said it has asked the European Union and the UK government for financial compensation for the closure of airspace. It also wants UK airspace restrictions eased after its test flight through the no-fly zone revealed "no variations in... normal operational performance". Chief executive Willie Walsh called on the government to adopt new policies that would "allow us to resume flying". The airline estimates that the crisis is costing it about £15m to £20m a day. Virtually all flights in and out of the UK have been grounded since 1100 BST on Thursday because of volcanic ash. "This is an unprecedented situation that is having a huge impact on customers and airlines alike," said BA chief executive Willie Walsh. On Sunday, BA ran a two-and-a-half-hour test flight over the Atlantic to assess any damage caused by the ash. Mr Walsh said: "The analysis we have done so far, alongside that from other airlines' trial flights, provides fresh evidence that the current blanket restrictions on airspace are unnecessary. 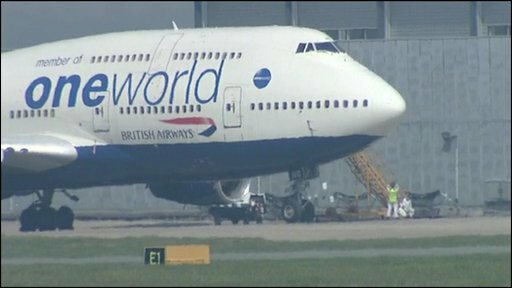 BA said that when it did start flying again, those who had tickets for a specific flight would have priority and would not be bumped off for stranded passengers. It said it would consider flying more planes, or larger aircraft, as a way of dealing with the backlog. The airlines believe they are due compensation because the decision of whether to fly or not has been unfairly taken out of their hands. EU competition commissioner Joaquin Almunia said the EU was considering easing its rules barring government subsidies to airlines. "I am looking carefully at what we did after September 11. We can use similar instruments. 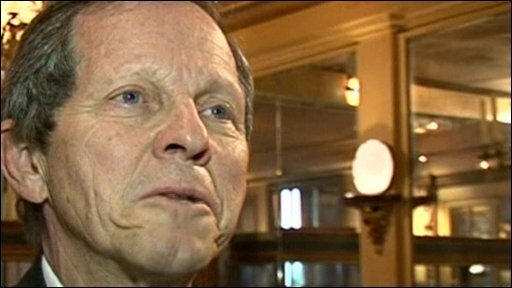 We are indeed facing exceptional circumstances," he said. Independent airline analyst Saj Ahmad said the challenge would be ensuring that any potential compensation is equally distributed. "Low-cost airlines may feel aggrieved if they receive smaller payouts because they benefit from lower costs than rivals," he said. "But for a carrier like BA that has already lost nearly £50m due to a cabin crew walkout, every penny counts - not least because some of this money will have to be used to compensate and refund passengers." Both the insolvency firm Begbies Traynor and the financial services group KPMG warned that the crisis would leave some carriers facing financial distress. Prime Minister Gordon Brown said that the European Solidarity Fund, designed to provide aid to EU members hit by natural disasters would be the likely source of any compensation for businesses hit by the disruption. However the BBC's political correspondent Reeta Chakrabati said it was still unclear how much money would be available and who would be able to access it. Despite the huge losses being incurred, BA said it still had "significant funding" available to allow it to stay in business should flights be grounded for a "considerable period". Before the disruption, the airline had more than £1.7bn in cash reserves to draw on, as well as more than £400m in available credit. European airlines have been critical of the way the EU has handled the crisis, and have pushed for the reopening of airspace as quickly as possible. European transport commissioner Siim Kallas said there must be "no compromise on safety", but admitted that a prolonged closure of airspace was "not sustainable". 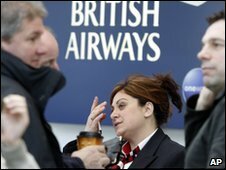 British Airways shares fell by 1.4% in Monday trading in London, closing at 231.7 pence. It clawed back some of the losses later in the day, as news emerged that there would be some flights operating from the UK on Tuesday. The German flag carrier Lufthansa said it had not put in any claim at this stage but was looking at its options. Air France-KLM is also believed to be pursuing compensation from the EU. 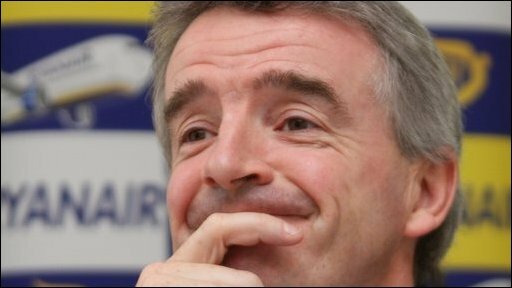 Meanwhile, Peter Long, the chief executive of TUI, Europe's largest travel operator, told the BBC that the company had written to the government asking for recompense. TUI says the crisis has cost it £20m so far and was continuing to cost it about £5m to £6m a day.